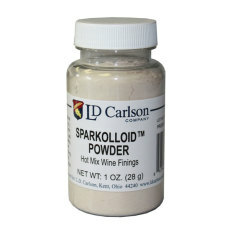 Sparkolloid is a cellulose/diatomaceous earth mixture that is effective in clarifying wine. 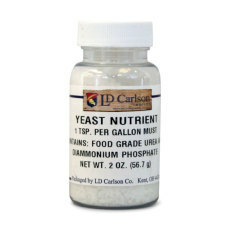 Yeast Nutrient is a blend of diammonium phosphate and urea. 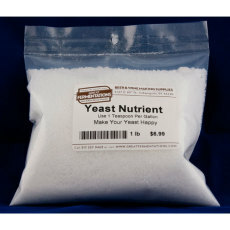 It will enhance the yeast's ability to bud and ferment. 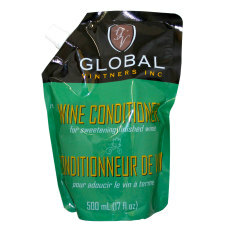 Wine Conditioner is a liquid sucrose mixture that can be used to back sweeten a stabilized wine. 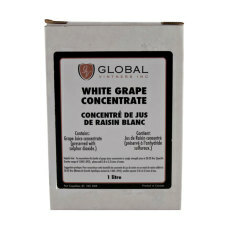 This white grape concentrate comes in a 1 L. container. 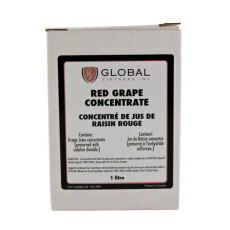 This red grape concentrate comes in a 1 L. container. 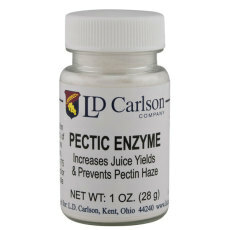 Pectic enzyme increases juice yields, improves color extraction from grape skins, and also prevents pectin haze by helping proteins to floc out during fermentation. 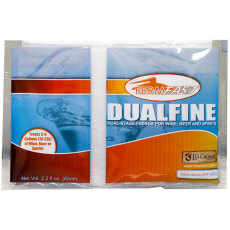 DualFine is a finining solution used for clarification of beer and wine. 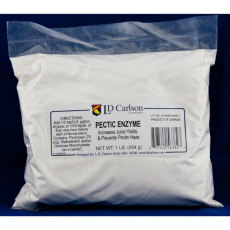 This titrettor is a reusable tool, that makes holding your Chemetrics ampoules easier. 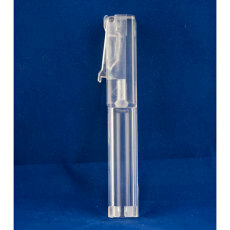 The holder is made of plastic, and will make your titrate testing easier for years to come. 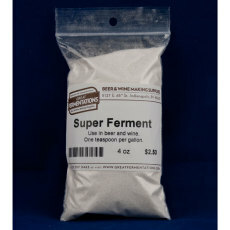 Super Ferment is a mixture of diammonium phosphate and yeast energizer, and acts as a good all-around yeast nutrient/energizer for wine and beer. 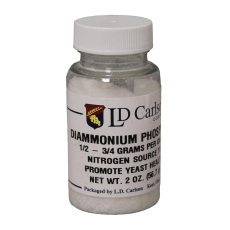 Diammonium Phosphate is a yeast nutrient that acts as a good source of nitrogen and also aids in the reduction of sulfur.